In the summer of 1972, I had the privilege and responsibility of organizing a Gordon Conference on the "High-Energy Spectroscopy of Solids." The Thursday evening session focused on future directions for high-energy spectroscopy. 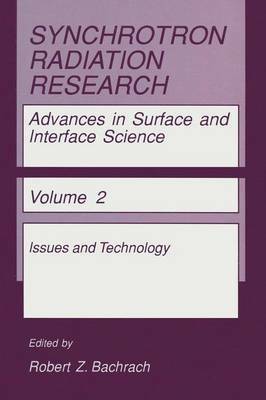 The possibilities associated with synchrotron radiation for future research became a central issue. I was asked to choose the members of the panel and chair the session. Although all five members of the panel went on to have distinguished careers using synchrotron radiation, at the time some of them were skeptical about the future role of synchrotron radiation sources in high-energy photon spectroscopy. The discussion became heated, and many members of the audience spoke, both pro and con. One member of the panel produced a detailed argument that synchrotron radiation would never rival standard X-ray tubes. We found out that there were estimates for properties of synchrotrons that differed by orders of magnitUde from those of X-ray tubes. That much uncertainty was expressed at a meeting that took place less than twenty years ago. It is hard to believe that, even though at that time synchrotron radiation was already being used for photoemission studies of solids and surfaces and intershell excitations in solids, the potential impact and importance of this area was not fully realized even by the experts. Today synchrotron radiation is one of the primary tools for studying surfaces, and synchrotron radiation has affected many other areas of condensed-matter physics--even superconductivity.